Lisbon’s famous Corinthia Hotel has recently unveiled the first phase of a €15 million guest bedroom and suite makeover. By the end of 2019 all 518 rooms of Corinthia Hotel Lisbon will have been refurbished. The Corinthian is considered to be one of the top hotels in the city and is recognised as the World’s Leading City Hotel by the World Travel Awards. The newly designed rooms have a walk-in wardrobe from a local Portuguese cabinetmaker, a marble bathroom, tropical rain shower and toiletries from ESPA, all of which made the place feel like a home-from-home. The art on the walls depicts local subjects from native photographer Nuno Cera and figurative painter Susana Bravo. BreakingTravelNews discovered that The pride of the hotel is the Corinthia Spa, offering harmony and tranquillity, spread over a generous 3,500 square metres. The spa features 13 treatment rooms, a cutting-edge gym and heated indoor swimming pool. The hotel has a beautiful Sky Lounge, a restaurant by the name of Erva and a 3,000 sq meter Soul Garden. The hotel opened in 2004 and is located seven kilometres from the airport. It is at a short distance from the historic city centre. 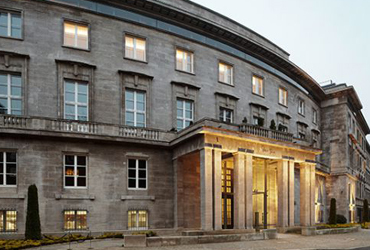 The new SO/Berlin Das Stue hotel, once home to the Danish Embassy, has been renovated and is in Condé Nast’s list of the top 10 of best hotels in the city. Take advantage of discounts on the room rate valid at over 2,400 hotels around the world from Accor Hotels. Looking for luxury when booking a hotel in the States?